Have you heard? Everyone's buzzing about this 100% silk bow tie. Featuring a pattern of honey bees, the Micro Bees Bow Tie is sure to have everyone swarming around t... read more Have you heard? Everyone's buzzing about this 100% silk bow tie. 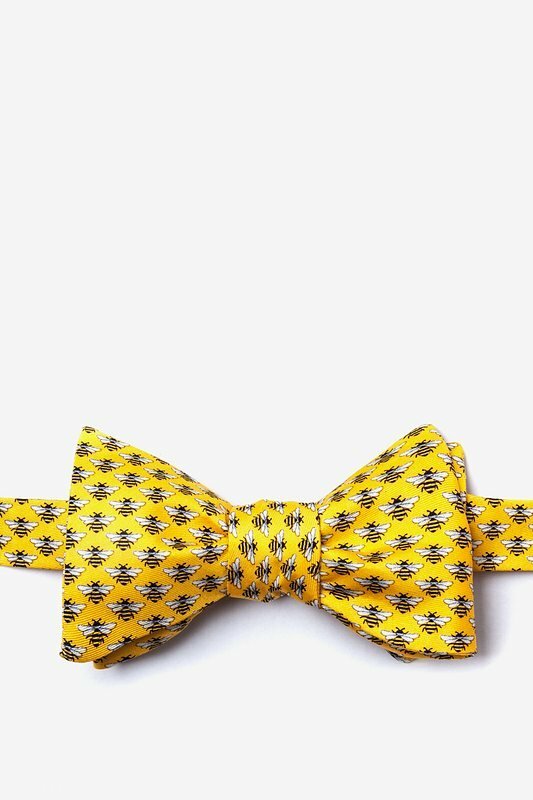 Featuring a pattern of honey bees, the Micro Bees Bow Tie is sure to have everyone swarming around to get a look. 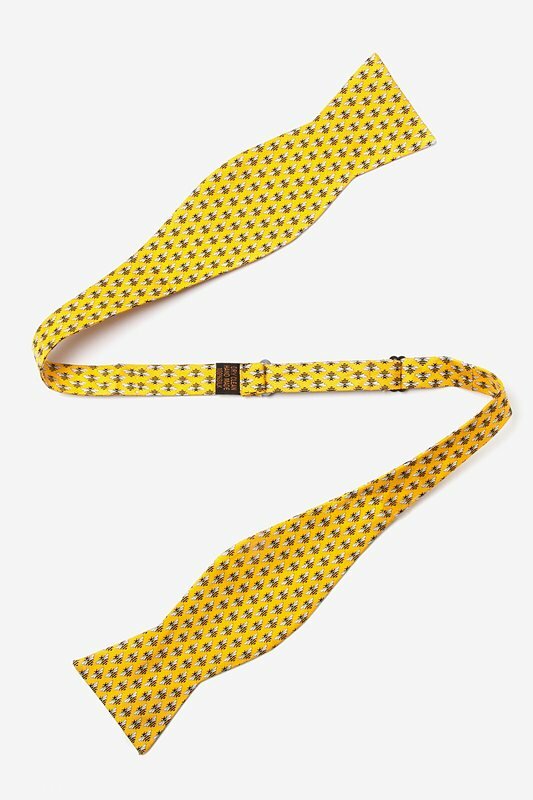 With this bright tie around your neck, you'll be the bee's knees at the office!